"Our Odyssey" is an exceptionally well maintained Chris Craft 425 Catalina Double Cabin, and is a very desirable aft cabin motor yacht. A classic Chris Craft design, solidly built with a beautiful teak interior, it features upper and lower enclosures (canvas and isinglass - new in 2016), sleeps 6 in 2 roomy staterooms with centerline queen beds and en suite heads, and a pull out convertible sofa. Excellent live aboard!! Currently moored in a beautiful marina with great amenities. 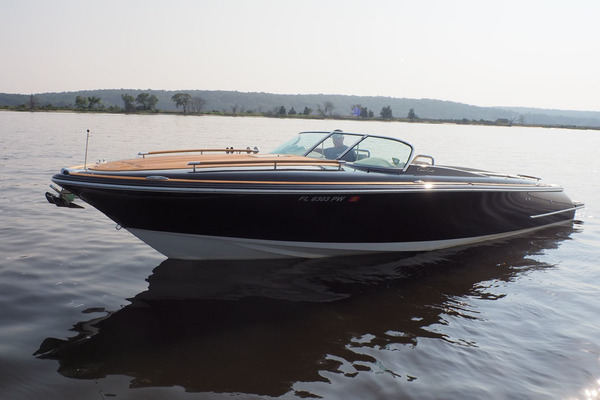 Re-powered with twin Marine Power 454 EFI inboards what have approximately 400 hours on each. 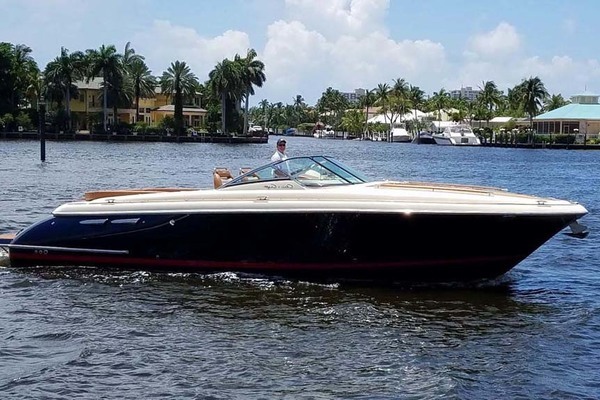 This is a bright, airy, and well equipped motor yacht offered at a great price! Call today to make an appointment to see "Our Odyssey"! Forward cabin features island queen berth w/storage drawers below, mirror covered chain locker forward, overhead opening hatch, hanging locker to port, shelving to port and starboard. En-suite sink with storage below, large storage cabinet with mirrored door to starboard. En-suite head has a molded one piece fiberglass shower for easy maintenance, double SS sink, freshwater electric flush toilet to port. Master cabin aft features island queen berth, windows port and starboard, make-up vanity table, large full length hanging locker, en-suite electric flush toilet, separate one piece molded fiberglass tub/shower for easy maintenance, separate fiberglass tub/shower and sink, hot and cold pressure water, storage shelves and cabinets. L-shaped galley down to starboard, full sized GE refrigerator/freezer with icemaker, 3 burner Galley Maid Empress electric stove w/oven, Kenmore microwave, coffee pot, built in wine glass rack, lots of storage, double SS sink w/new faucet, hot and cold water, in counter trash access, plenty of drawer and cupboard space. C-shaped dinette/settee to port with under seat storage on 3 sides. Main saloon is up and features an L shaped convertible couch with storage below, louvered door cabinets, large countertop for TV or stereo, in counter mounting bracket for large flat screen TV, laminate floors throughout. 110/12v panels are to starboard. Aft deck includes small outdoor L-shaped wicker sectional with cushions and outdoor rug. Custom wooden boarding stairs included.